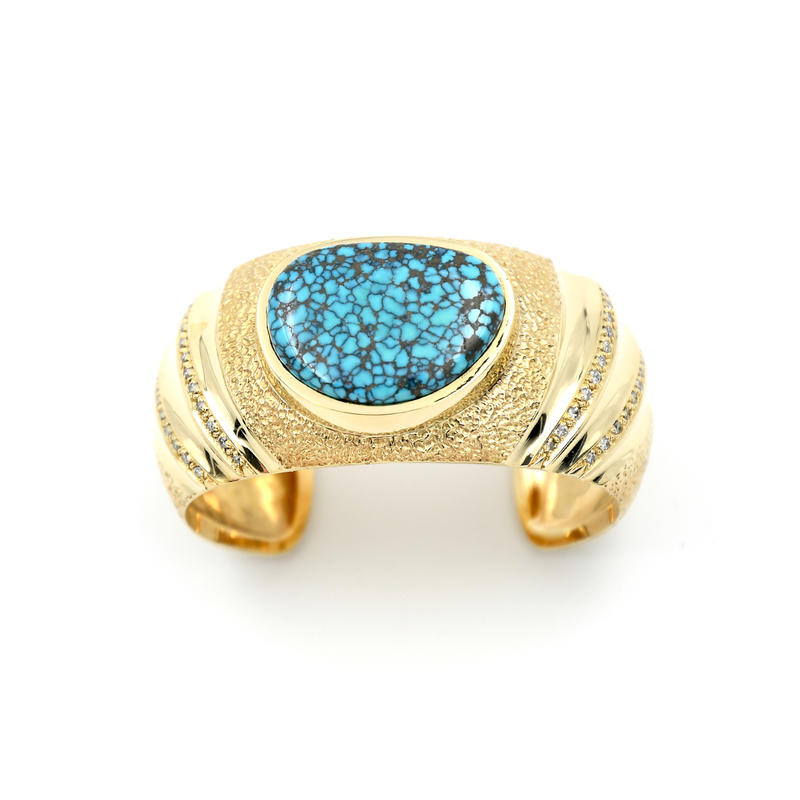 Harvey Begay uses tufa stone to cast this 14k gold bracelet. 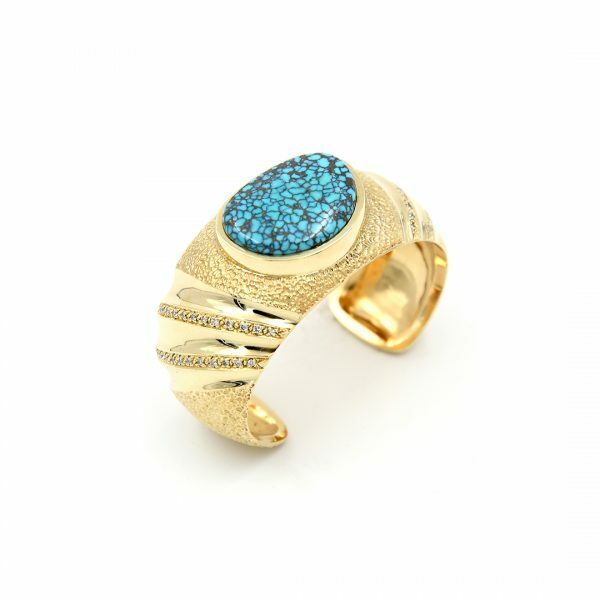 The large center cent stone is high-grade Chinese Turquoise. Micro-pave Diamonds are meticulously set on the left and right side of this Bracelet which added that extra flare that pares well the texture of the bracelet and turquoise stone. 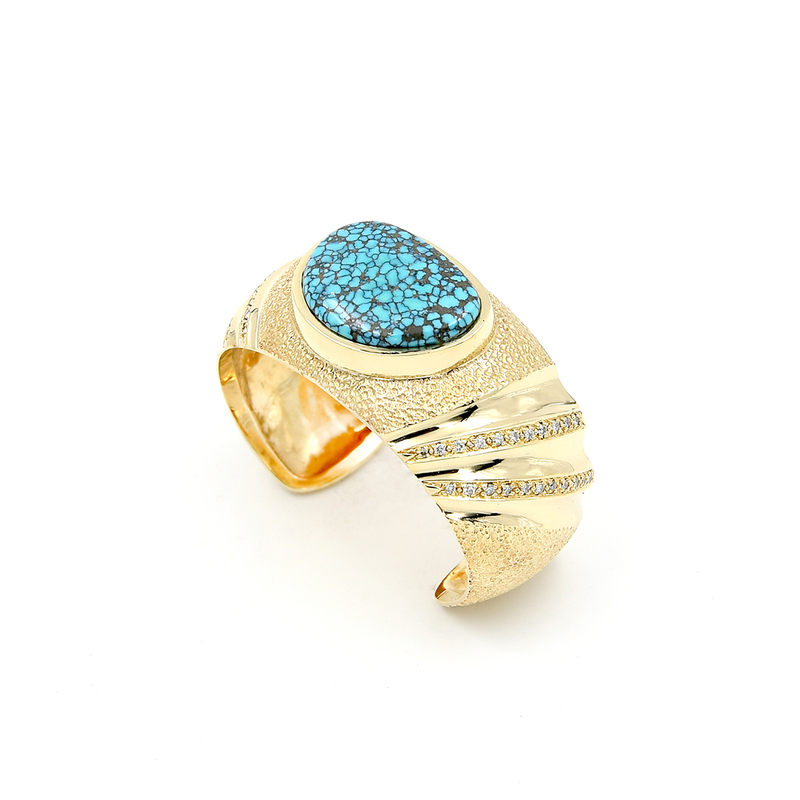 By adding the diamond’s and the use of gold, Harvey took traditional use of tufa casting to a modern piece of Wearable Art.